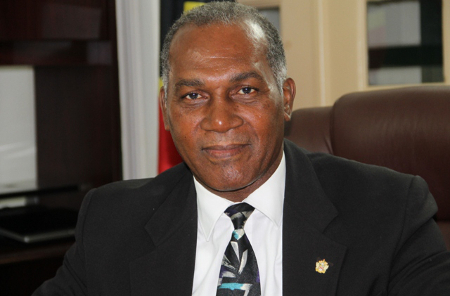 NIA CHARLESTOWN NEVIS (DECEMBER 30, 2015) — Premier of Nevis and Minister of Finance Hon. Vance Amory, said the Ministry of Education is committed to work towards the 2030 Sustainable Development Goal for Education(SDG4).The initiative is designed to ensure inclusive and equitable quality education and to promote lifelong learning opportunities for all. He said the Ministry is seeking to implement strategies which will stimulate human progress and pointed to various educational programmes and initiatives that will be implemented in 2016, under the Ministry of Education’s theme “Quality Education through Passion, Vision and Action for a Better Society”. Mr. Amory said, Nevis, like other members of the Organization of Eastern Caribbean States (OECS) is dedicated to enacting the educational strategies to empower every learner and to strengthen the education system’s link to the labour market. According to Premier Amory, the Ministries of Education on St. Kitts and Nevis in their effort to deepen a systemic approach to improve the literary skills of students, will implement the OECS/Unites States Agency for International Development (USAID), Early Learners’ Programme in schools throughout the Federation. In addition, he said with the support of the Basic Needs Trust Fund (BNTF 7), the Step Up for Life Literacy Intervention will be implemented in the Gingerland and Charlestown Secondary Schools. The programme will assist school leavers to be better equipped to seek gainful employment and pursue higher and continuing educational opportunities. As part of its implementation plan for 2016, the Ministry of Education with the support of United Nations Educational Scientific and Cultural Organization (UNESCO) and BNTF 7, will pilot a Micro-Science project in both primary and secondary schools to improve the delivery of the Science programmes. Micro science kits will be distributed to various schools in an effort to improve access to experimentation in the teaching-learning strategies. According to Mr. Amory, the Ministry in its continued quest for improvement in quality and relevance in the education system, procured a loan from the Caribbean Development Bank (CDB) for a multi-million dollar Technical Vocational Educational Training (TVET) Development Project. The loan will allow for physical work at the Gingerland and Charlestown Secondary Schools and the Multi-Purpose Centre; the procurement of tools and equipment and certification training for TVET instructors. The certification training would enable the Caribbean Vocational Qualification (CVQ) to be implemented at both Secondary schools and the Multi-Purpose Centre. Mr. Amory added that in an effort to deal with its systemic challenges the Ministry of Education in Nevis in collaboration with the Federal Ministry of Education, developed a medium term Education Sector Strategy plan which will tackle the identified challenges with respect to quality, access and participation, equity, financing, governance and management at all levels. The sector strategy is expected to be ready for implementation by the second quarter of 2016.